THE Summer Capital is indeed a breeding ground of world champions especially in mixed martial arts (MMA) and other combat sports. 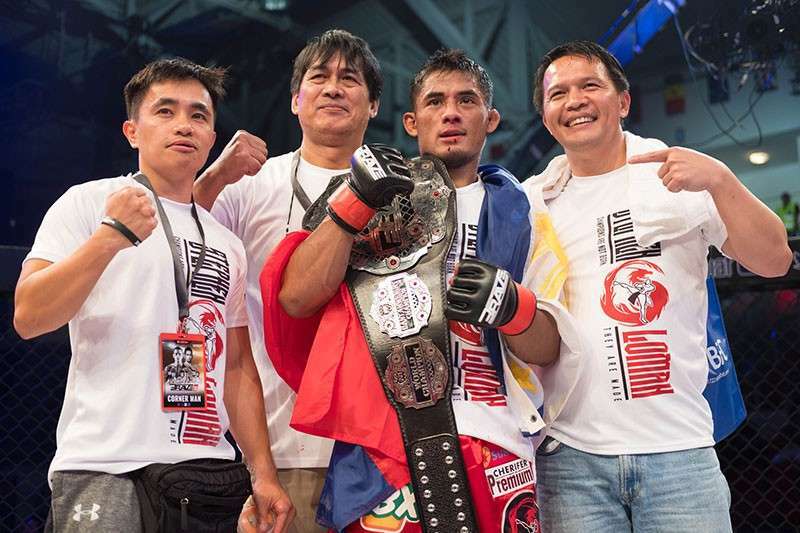 A resolution was recently passed by the City Council congratulating and commending Stephen Loman of Team Lakay for successfully defending his Brave Combat Federation bantamweight title during the Brave CF 18 at the Khalifa Sports City in Bahrain on November 16. Authored by councilor Arthur Allad-iw, the measure states Loman is the first-ever Brave CF bantamweight champion and the youngest titlist on the Brave roster. He successfully defended his title against Brazilian challenger and 2017 Knockout of the Year winner Felipe Efrain. Loman was able to dictate the pace of the fight against the challenger until the former was unanimously declared victor and is now the champion with the most number of successful World Champion title defenses.